"Thanks!" to many of you, who shared the following news/ email with us. 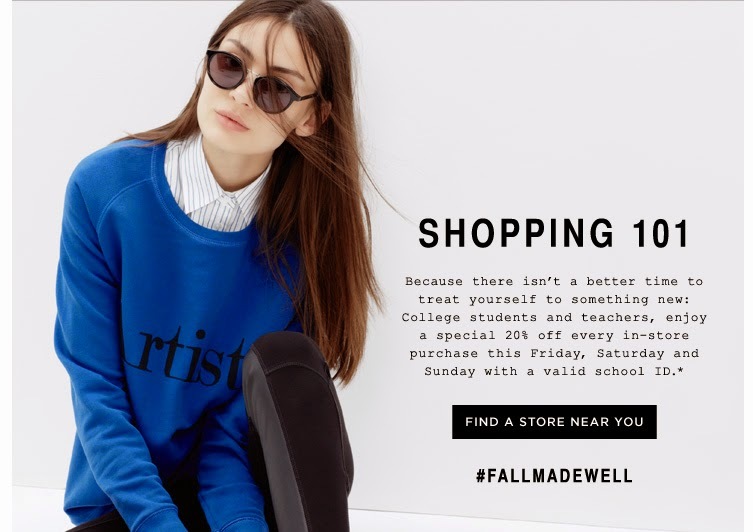 Madewell is offering shoppers a special treat. Normally teachers and students enjoy an additional 15% off purchases by showing a school ID. Well, students and teachers can now take 20% off any purchase in stores. This offer expires September 7, 2014.